The GDP reading reflects the weakness in external demand for precision engineering and electronics products, as suggested by recent global manufacturing readings. However, the China PMI in March has shown signs of improvement as fiscal stimulus has kicked down positive impact to the real economy. This could be viewed as a silver lining for the rest of Asia. Singapore’s central bank MAS announced a decision to keep its monetary policy stance unchanged in a bi-annual meeting this morning, leaving the S$NEER band at the current level. This decision is widely anticipated amid an economic slowdown and policy shift in other central banks like the Fed. Core inflation has also fallen to a 9-month low of 1.5 percent lately, suggesting the central bank has no incentive to tighten any time soon. USD/SGD shot up to 1.328 area following this announcement and quickly fell back to 1.356 area. Over the past five months, the Singapore dollar has strengthened over 2 percent against the greenback, partly due to a narrowing gap between their short-term rates. 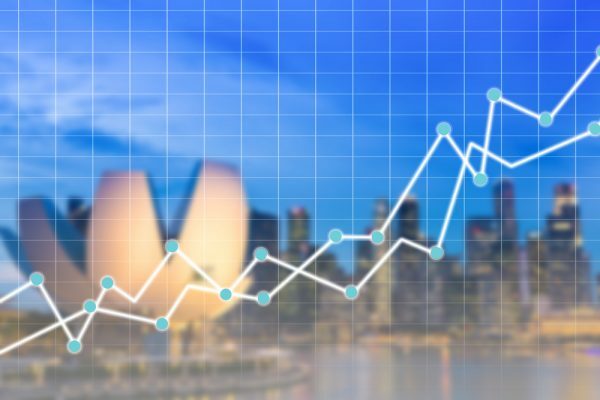 Since this year, the 3-Month SGD interest rate has risen by 6bps, while the US 3-month rates are lower by 22bps – a clear positive factor for the Singapore dollar. The Singapore market has demonstrated resilience against the headwind of a pullback in the China and HK markets. SingTel registered a strong gain of 1.9% to $3.17, surging to a five-month high and helping to lift the broad index due to its high weightage (8%) in the STI. Banks are taking a pause and consolidating around their recent highs. US commercial crude oil inventory surged by 7.02 million barrels last week, according to Wednesday’s DoE report. Rising stockpiles weighed on crude oil prices, potentially capping the upside of Singapore’s offshore & marine sector in the near term. China trade balance readings will be announced today at 14:30pm SGT and will set the tone for Asia trading and the European opening. As trade tensions between the US and China cools, investors are keen to see alleviation in China’s export activities, which has fallen sharply (-20%) last month.